Buying Gold on a Budget... Also, Should You Sell Your Gold and Silver? 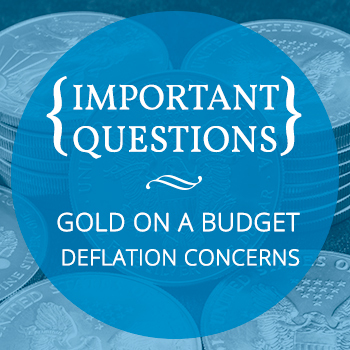 Buying Physical Gold On a Small Budget... Also, Could the Deflationists Be Right? Our precious metals Specialists enjoy addressing your many excellent questions on an inpidual basis. But we know you also like to see what others are asking about. Who is Harry Dent? He keeps running newsletter ads telling people to sell their gold and silver. He argues we are having a deflation and says gold will drop to $600 per ounce while silver falls to $5.50. I am freaking out! 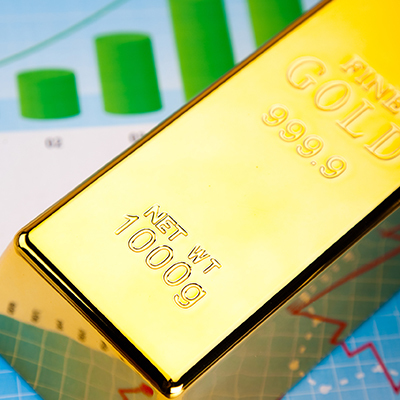 While we do not have a crystal ball, we believe that Harry Dent and other deflationists will continue to be wrong about gold prices as they have been most of the bull market over the last 10-15 years. Those who heeded the deflationists' advice over the past 15 years probably regret doing so, unless they happened to buy within a few months of the $1,900 gold high in 2011. But it's downright dangerous NOT to own some gold and instead place your full faith in paper assets, the politicians, and the central bankers. Physical gold and silver are financial insurance, and folks should have some whether prices are going up or down at any given time. While there are indeed deflationary forces at play, central planners at the Federal Reserve and other central banks around the world are absolutely committed to counteracting those forces with inflationary policies, and they have the unrestrained power to create unbacked fiat money to do so. Inflationary forces have “won” over the course of the Federal Reserve's 102-year history, a period in which the U.S. dollar has lost more than 97% of its purchasing power. And there is no reason to believe this trend will suddenly change. "The United States can pay any debt it has because we can always print money to do that. So there is zero probability of default. We can guarantee cash benefits as far out and whatever size you like but we cannot guarantee their purchasing power. Because we can always print money but we cannot guarantee their purchasing power." Here is a deeper examination of the deflationists' views and why we at MoneyMetals.com feel they will continue to be misguided in their predictions. On the subject of “freaking out,” here is a great article by our columnist Guy Christopher which may quell your fears. And please take a look the advice Money Metals contributor David Smith shares about using a “secret investment tool” – your mind! – when investing. If I want to buy a good amount of gold, and I do not have the money to buy it outright, can I pay for it a little at a time? Yes! This is exactly why we have a monthly savings plan. It’s perfect for accumulating gold and silver over time. You can put your inpidualized plan on autopilot and even set to happen automatically via bank debit. Money Metals’ gold/silver savings plan is one of a very few in America, and over 3,000 people are currently enrolled to purchase on a monthly basis. 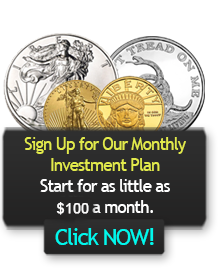 The monthly minimum is just $100 for silver and $200 for gold. It’s popular for folks who are on smaller budgets or who wish to take the guesswork out of timing purchases. Dollar cost averaging is a proven, disciplined way of building wealth over time. Check out all the details here.